The Big Max Quick Fix smartphone holder is a smart, multitask accessory perfect for every smartphone and GPS device. Easy to use and attach, the holder offers a sturdy and solid construction and is fully adjustable to fit phones of different shapes and sizes. It has a QF (Quick Fix) base which makes it suitable for use on most of BIG MAX trolleys. for submitting product information about Big Max Quick Fix Smartphone Holder We aim to answer all questions within 2-3 days. for submitting product information about Big Max Quick Fix Smartphone Holder. We aim to answer all questions within 2-3 days. If you provided your name and email address, we will email you as soon as the answer is published. 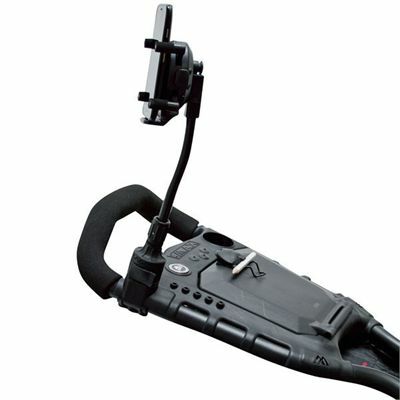 for submitting product review about Big Max Quick Fix Smartphone Holder.